I am a garlic bread lover through and through. I seriously cannot get enough of the stuff. What's not to love? 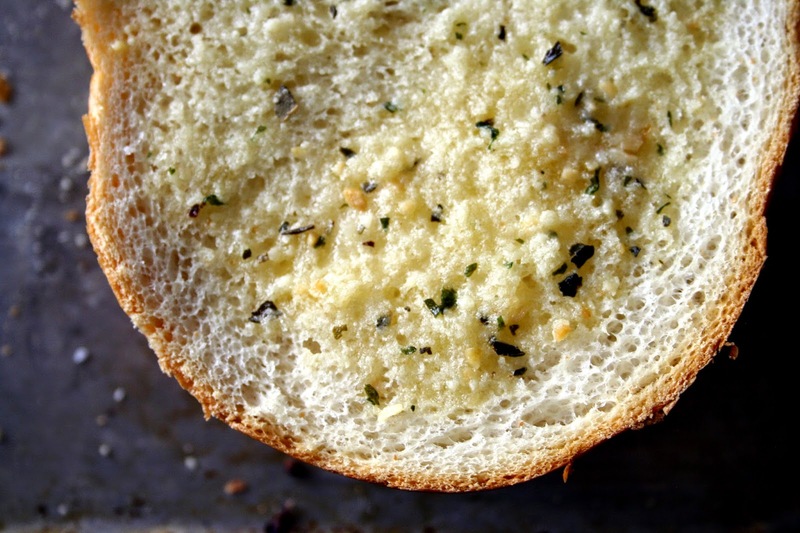 Yummy, thick, crisp yet soft bread smothered with some glorious garlic butter? Come on people. And why have I never made my own simple spread before this? Who knows? If I wanted to gain 30 pounds I would make this at every meal, but alas, I don't. This is so easy to put together and takes no time at all! You've got to try it! 2. In a bowl, mix together the butter, garlic, spices and Parmesan until combined. 3. Divide the butter mixture and spread generously onto each bread half. 4. 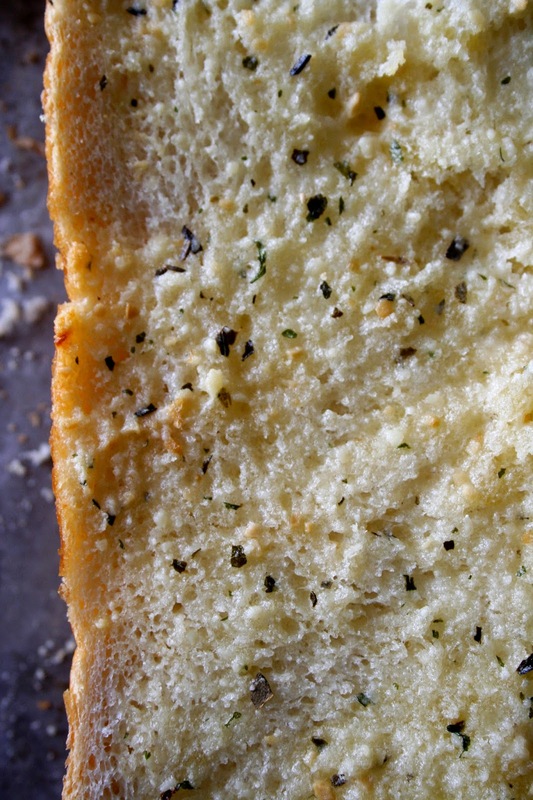 Bake the garlic bread on a baking sheet butter side up for 10 to 15 minutes until the butter mixture melts. 5. Broil for 1 to 2 minutes if desired. Serve warm.